At Babcock Auto Care in Rochester, MN, we are the experts when it comes to cooling system repair on all makes and models of vehicles. Our ASE certified technicians can assist with any cooling system repair that your vehicle may need, big or small. If your vehicle is constantly overheating or you are experiencing other engine problems, there may be an issue with your vehicle’s cooling system. 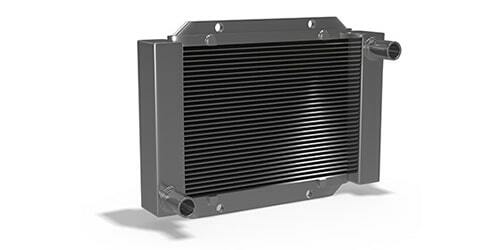 Your vehicle’s cooling system has the important job of essentially cooling down your vehicle’s engine while running. Your engine emits a significant amount of heat on the road, and in order to regulate the temperature of your engine, your vehicle’s cooling system distributes lubricant to coat your engine and protect vital components. Without a working cooling system, your engine is exposed to a lot of heat, resulting in engine overheating, corrosion, and irreversible damage to parts. If there is an issue with the cooling system, you will start to notice that your vehicle’s engine is running rough and is overheating. You may also notice a burning smell while driving. As soon as you start experiencing an engine issue, don’t hesitate to bring your vehicle into our experts for an inspection. We will perform a full visual inspection of the cooling system to determine the cause of the issue. The water pump is usually the culprit for a cooling system issue which can prevent coolant from properly moving throughout the engine. There could also be an issue with the thermostat or radiator.